Leukocytes are white blood cells that work with the immune system to defend against infectious disease. When leukocytes have become damaged from fighting off an infection, the body will expel them in the urine. While the presence of leukocytes in the urine usually does not signify a dangerous medical condition, they can be a sign of an infection that requires medical attention. FastMed Urgent Care is a network of walk-in clinics throughout Arizona and North Carolina that offers reliable, convenient medical care every day of the year. Are Leukocytes in My Urine Bad? A human’s urinary system consists of the ladder, urethra, kidneys, and ureters. If your physician performs a urinalysis and detects leukocytes without traces of nitrates, too, then it may indicate a urinary system infection. Here are a few frequently asked questions about leukocytes in urine and how to treat the condition. What are the symptoms of leukocytes in my urine? The most common (and noticeable) symptom is urine that is cloudy or foul-smelling. Some people may also experience more frequent urination, fever, painful urination, or the presence of blood in their urine. What are the causes of leukocytes in my urine? The causes of leukocytes can vary. Some common causes are pregnancy, kidney infections, blockage in the urinary tract, and kidney infections. How can leukocytes in the urine be treated? Rather that treat leukocytes in your urine, you should treat the infection that has caused the leukocytes to appear. Many infections can be treated with antibiotics from a medical professional, and it is important to maintain adequate personal hygiene and eat a balanced diet to help prevent future infections from forming. All FastMed clinics are equipped with onsite labs, digital x-rays, and electronic medical records. Every FastMed clinic holds the Joint Commission’s Gold Seal of Approval for accreditation in compliance with the Joint Commission’s national standards for health care quality and safety in ambulatory health care. 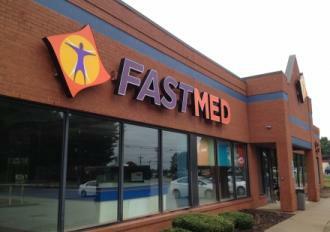 Find a FastMed near you to see for yourself!